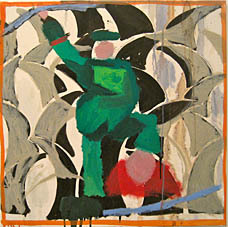 Rubbernecking, the slang expression that describes the act of gawking at someone or something, particularly car crashes is not only a look-come-see inducement to the curious viewer but also refers to a tendency underscoring the work of these three artists, all of whom are concerned in some way with a tension between a cartoon graphic quality and the rough texture of impasto paint. 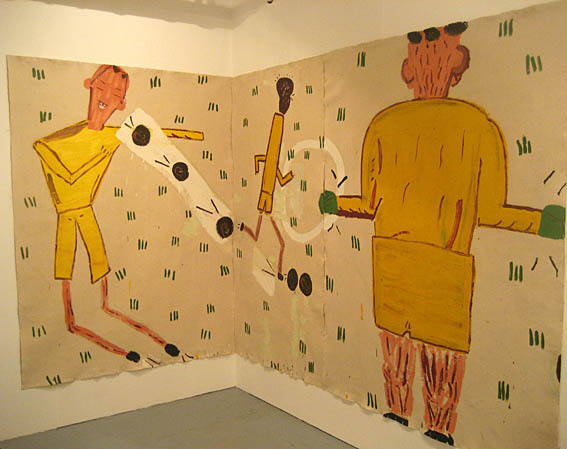 Both Phillip Allen and Rose Wylie’s practices span drawing and painting, where a subtle to-ing and fro-ing exists. Wylie uses these drawings directly as subject matter, enlarging her sketches into large paintings where figures float over flat lines made from scaling up lined paper. Her eclectic references range from footballers, to arthouse films, to hand painted roadside signs in Kent, the pastoral often standing alongside the disturbing and violent. Allen shows a group of paintings that lie on the slip road of his practice. Often bringing in figurative elements these paintings are unlike what we have come to expect from him. Jake Clark works from collaged photographs to build narratives from his reference material. He sticks old vinyl patterns onto his support and then buries them back into the painting via layers of paint in a reference to the interior of the buildings he depicts. Each of our three gawpers are concerned with new ways of applying paint to create personal and fresh images that crash with the faded Festival of Britain feeling that permeates the surfaces of their work creating a counter-intuitive, bang-up-to-date contemporary. Phillip Allen was born in London in 1967 and graduated from The Royal College of Art in 1992. His solo shows include The Approach Gallery (2008); Xavier Hufkens, Brussels (2007); Milton Keynes Gallery (2006); Kerlin Gallery, Dublin, 2009. 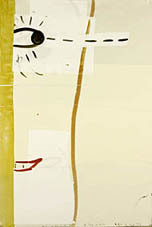 Group shows include ‘Classified’, Tate Britain; The British Art Show, BALTIC 2005/06 and PS1, New York, 2003. More images. Jake Clark was born in London in 1966 and attended the Royal College of Art, London from 1991-93. 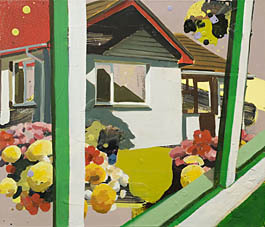 Exhibitions include, 'Emergency' Aspex Gallery, Portsmouth, 2004; 'The Vernacular', Standpoint Gallery, London, 2005; 'Dog Days' (solo) Gasworks Gallery, London, 1995; 'Drip Grot' Foster Art London 2006; 'O Dreamland' Greatstone Kent 2007 and 'The Painting Room', Transition Gallery, London, 2008. He exhibited in 'John Moores 18', 1993, 'John Moores 22', 2002 and ‘John Moores 25’, 2008. More images. Rose Wylie was born in Kent, 1934. She attended The Royal College of Art, London from 1979-81 and Folkestone and Dover School of Art from 1952-56. Her exhibitions include ‘Wear What You Like’ (solo), Transition Gallery (publication available here), 2008; ‘Swans Reflecting Elephants’, Kate MacGarry, London, 2008; UNION, London, 2006; EAST International, Norwich Gallery (Selectors: Matthew Higgs and Marc Camille Chaimowicz), 2006 and ‘John Moores 16’, 1991. She was recently shortlisted for ‘Women to Watch’ 2010 at the National Museum of Women in the Arts, Washington DC. More images.